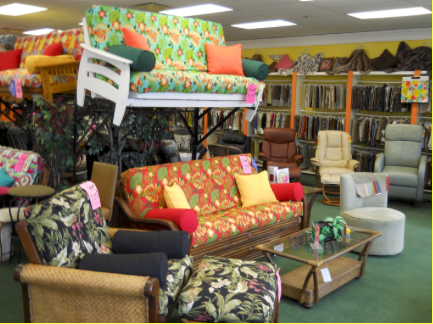 We are a local family owned and operated retail futon and furniture store with a complete line of the highest quality futon frames, mattresses, covers and accessories. 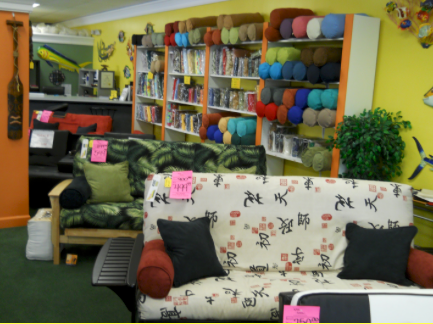 We pride ourselves in giving the best customer service and offering the best choices to make your futon purchase fun and affordable. 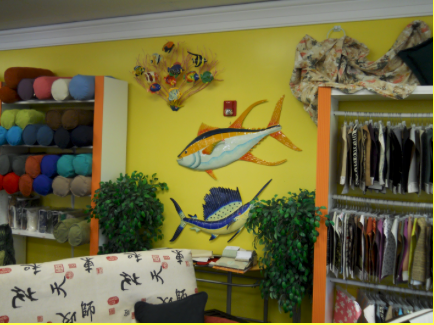 Our knowledgeable staff has over 35 years of experience to answer all of your questions and meet all your design needs. 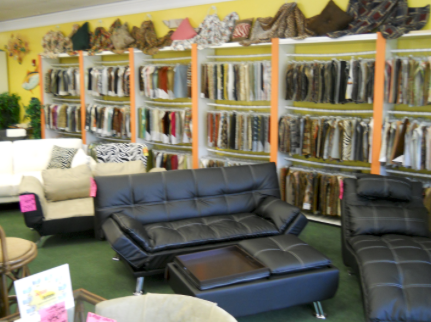 Come in and we will assist you with custom designing your futon package. 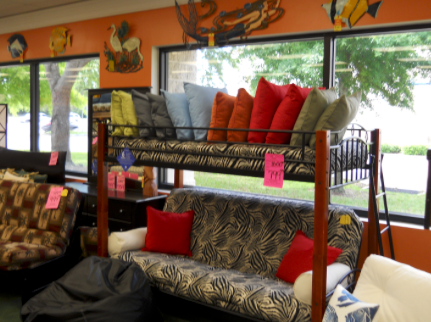 Visit our Local Clearwater showroom and experience the LARGEST and BEST futon bed selection in all of Tampa Bay. 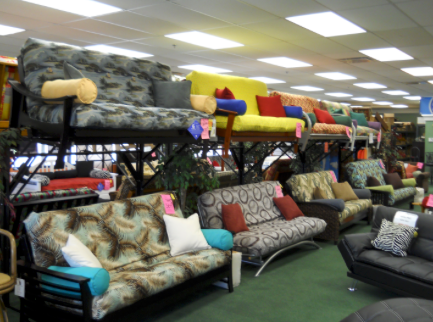 HERE YOU CAN SEE, ON DISPLAY, AT LEAST 50 STYLES OF FUTON FRAMES in all 5 sizes and a variety of finishes. 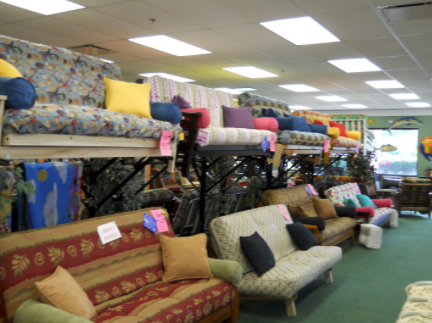 WE ALSO OFFER 15 TOP QUALITY FUTON MATTRESS COMFORT LEVELS. 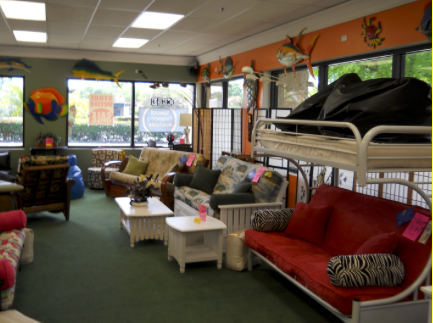 ALL OUR COMFORT LEVELS ARE ON DISPLAY so you can touch, sit and feel each mattress in our selection. 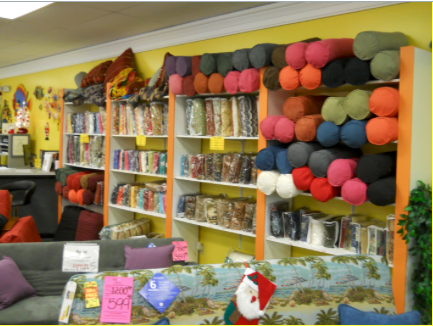 WE ALSO HAVE IN STOCK OVER 300 ASSORTED FUTON COVERS. 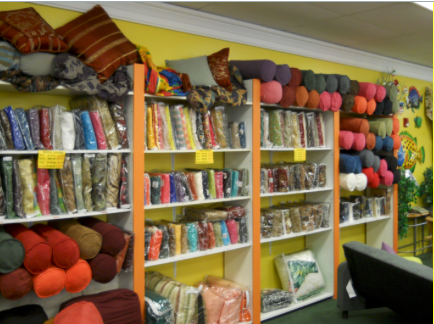 ALSO IN OUR SHOWROOM YOU CAN SEE OVER 3000 FABRIC SAMPLES INCLUDED IN OUR COVER SELECTION. 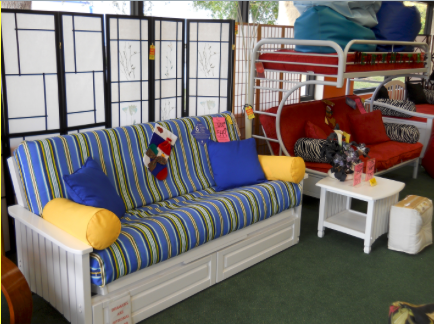 We also keep in stock, a wide selection of futon frames and futon mattresses. 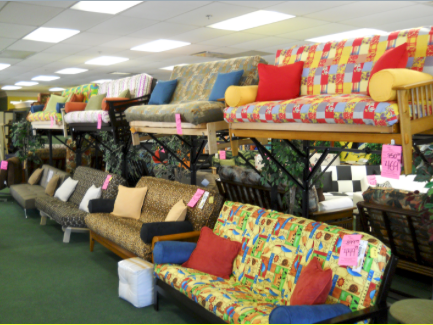 Enjoy huge discounts on FUTONS, PLATFORM BEDS WITH MATCHING CASE GOODS, BUNK BEDS, FUTON BUNKS, BEAN BAGS, RECLINERS, BAR STOOLS, BISTRO TABLES AND MUCH, MUCH MORE. 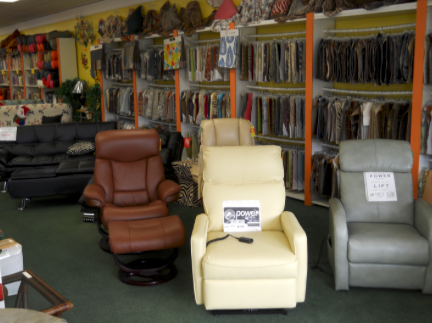 Come on by and take advantage our BIG SAVINGS. Don’t be fooled by online stores that promise free shipping. They tell you it’s free but it’s not. They actually add the shipping cost into the price of the product adding hundreds of $$ to your price. 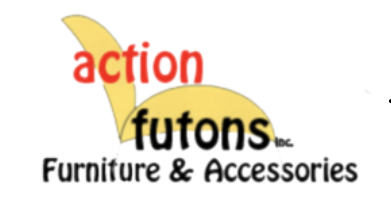 At Action Futons we can save you that shipping cost because we bring in our products by the truckload which minimizes our freight cost. Delivery And Setup Available Same And Next Day, Monday Through Saturday. Delivery Fees May Vary Depending On Items And Distance. HILLSBOUROUGH COUNTY: Tampa, Brandon, Plant City, Temple Terrace, Wesley Chapel, Zephyrhills, Odessa, Land O’lakes, Gibsonton, Apollo Beach, Sun City Center, Dade City, Lakeland, Winter Haven, Orlando, Sarasota, Bradendton, Valrico, Palmetto, Venice, Englewood, Port Charlotte, Pasco County, Holiday, Port Richey, New Port Richey, Hudson, Weeki Wachee, Bayonet Point, Spring Hill.